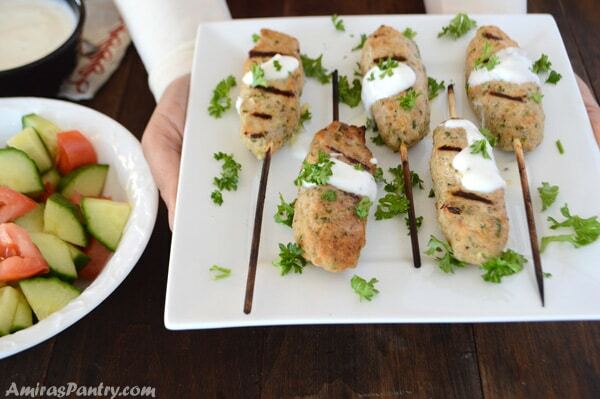 Chicken kofta are ground chicken kabobs. Flavor-packed ground chicken patties that is very popular in the Middle East and North Africa. Ground chicken can be subbed in for ground turkey, delicious both ways. Looking for new ideas with mince? try this juicy beef kofta. 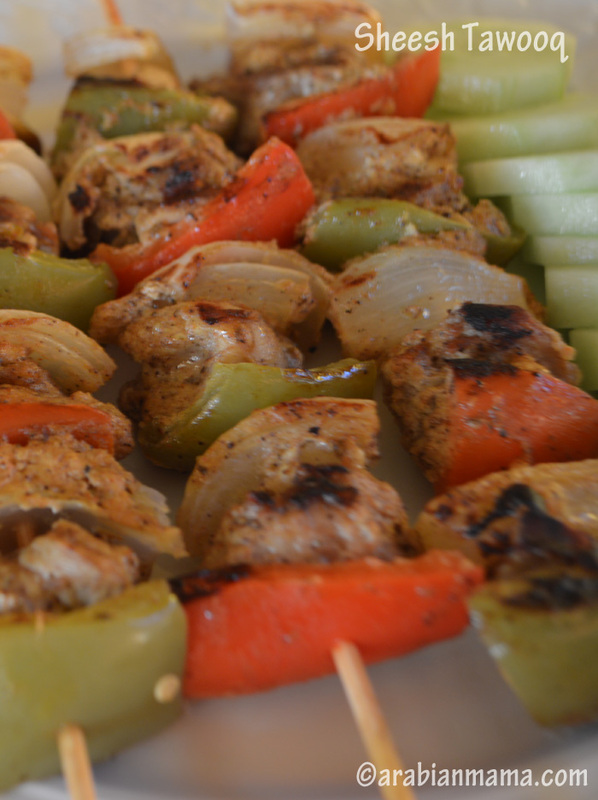 Middle eastern chicken kabob recipe with how to make ground chicken from scratch. 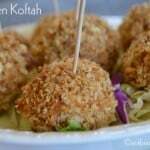 I’ve made an older version of Chicken Kofta here but it was breaded and had eggs in it. This one is grilled and more spiced up, both versions are tasty though. 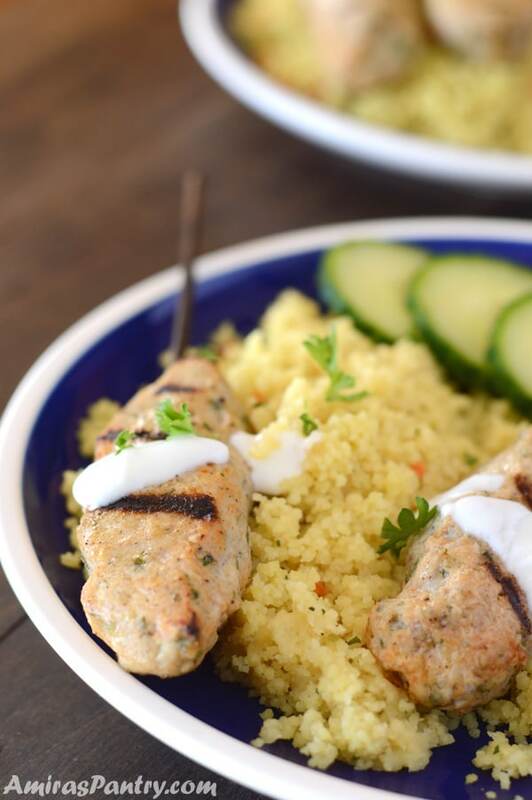 This Middle Eastern kebab usually served with tahini dip, yougurt dip or baba ghanoush. Serve it over with whole wheat pita bread, rice or grilled eggplants for a low carb option. When I am hosting, especially in Ramadan, I like making Kofta as everyone likes it especially kids. It is always easier for them to chew on mined meat and when you make these on skewers they are so appealing for everyone. Two of my kids always dip their kofta in ketchup!! for me it totally ruin the thing. So using ketchup in a pasting solution for these chicken kofta, was not only tasty but it contributed to making it juicy and not dry. Ramadan is just around the corner(May16th), and it worries me this year more than ever. Kids will still be at school, my oldest, I am not worried about something happened to him lately and he barely eats!! My youngest, declared it loud and clear ” I am not going to fast in school” :), he is not obligated anyways as he is just 7. I am worried more about my middle kid, although he is still 12 and he has the right not to fast but I know he will insist about fasting as “not fasting” is for babies and little kids… of course he wouldn’t put himself in such situation among his friends here :). He gets cranky and thinks of food all day long when he is fasting. A couple of weeks ago I was fasting and he decided to join with me, he kept asking ” what are we going to eat today?” every single hour!. When it was time to eat he was eating like a monster ( remember the beast when eating with Bell in Beauty and the Beast)!!. He overstuffed himself to the point that he started throwing up濫… poor kid. I just hope everything will go ok this year as next year the whole month of Ramadan will be in school and all the years after that until it goes back to July. Probably he will be an adult and working, hopefully he will learn how to control himself by then . I am pretty sure that these skewers will show up in my iftar menu so often this coming month, they are so easy to prepare and everyone in my home liked it. So let’s see how to make them. Start by soaking the bamboo skewers in cold water for 30 minutes. Add onions, garlic and parsley to the food processor and process then set aside. Add partially frozen chicken pieces and pulse until it is ground but it has some texture to it. Add ground chicken to the bowl with the parsley mixture. Add all the other ingredients to the bowl and mix well by hands. 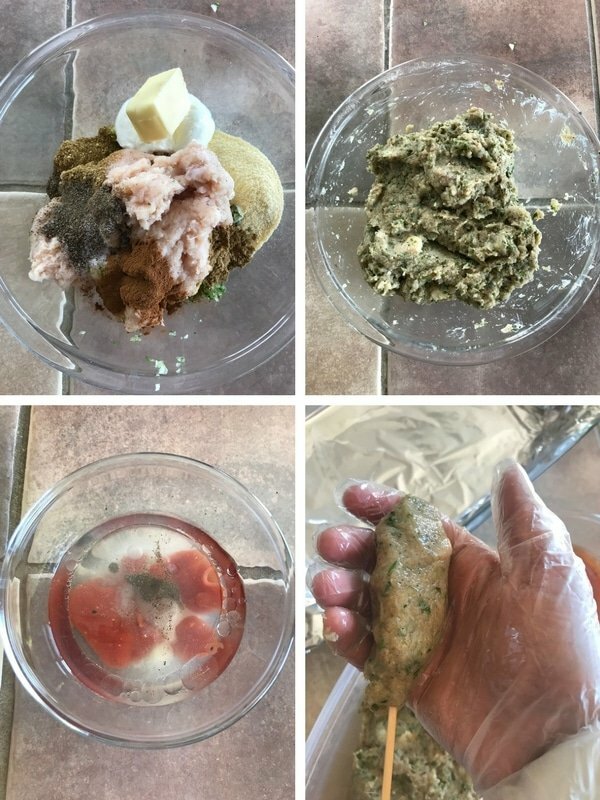 You can refrigerate mixture now for easy handling or start shaping them right away. The mixture can be refrigerated for up to 24 hours and can be frozen as well. Combine the brushing solution well then moisten your hands and start shaping the kabobs. 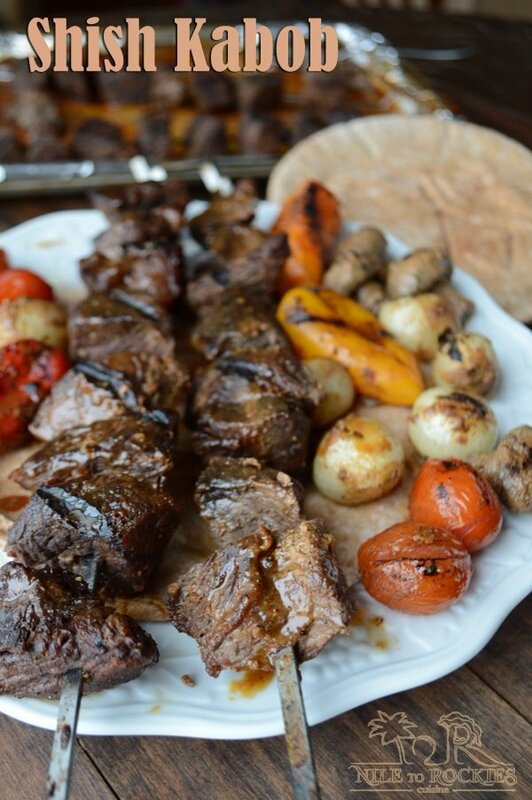 For oven baked kabobs: Brush kabob with the brushing solution , arrange in an oven safe dish and bake for only 10 minutes. Take them out, brush and return to oven for another 10 minutes. For outdoor grill: I highly recommend baking them in the oven for 5 minutes on each side brushing with the solution in between. While they are in the oven, heat and oil your grill generously then finishing them up there to get the nice grilling marks and smell. 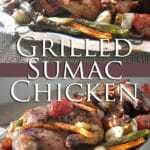 Enjoy right out of the grill with some of the side dishes mentioned above. 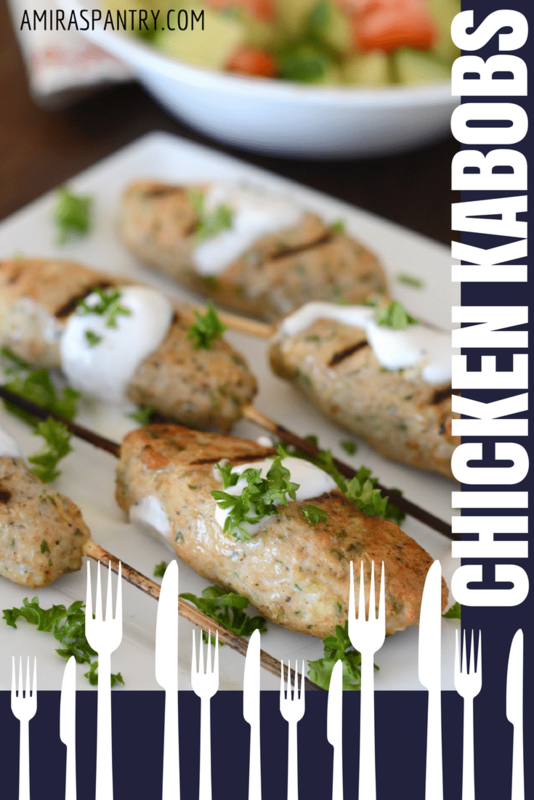 You can also shape your chicken kabob and stash them in your freezer so you always have the building blocks of a great meal. These goes right from freezer to oven just give them a minutes or two longer. Another way to enjoy them is to simmer in tomato sauce, then serve over grains or greens. 2 pounds boneless skinless chicken breast, roughly dices. 3 Tablespoons butter room temperature. 2 Tablespoon oil preferably not olive oil. In your food processor, add onions, garlic and parsley. Mix well, empty mixture in a deep bowl and set aside. 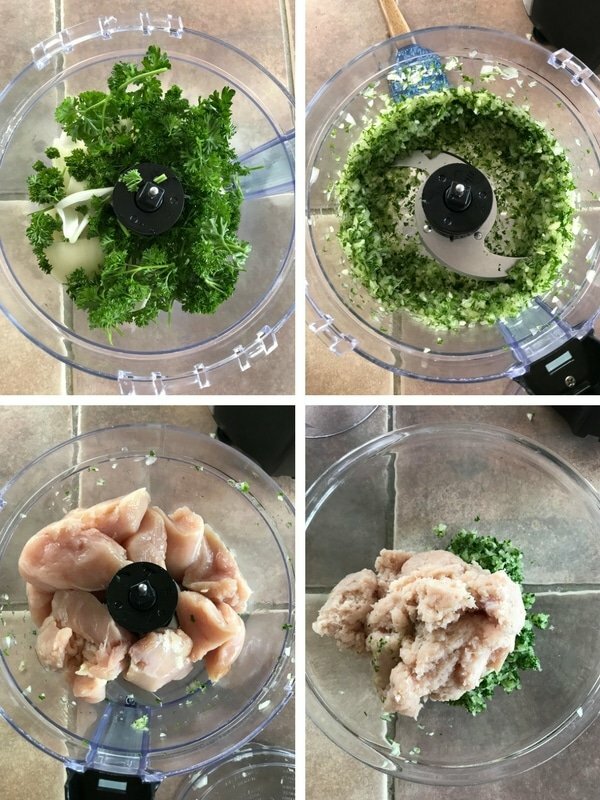 Add chicken pieces to the food processor and mix. Add minced chicken to the parsley onion mixture. Add all other ingredients spices, yogurt, cornmeal and butter. combine well with a spoon or with your hands until everything is evenly mixed. Soak wooden skewers for 30 minutes before using. Mix all brushing solution ingredients in a small bowl. Moisten your hands with the brushing solution and shape on skewers . Arrange on a baking dish. Lightly brush the kebabs with the brushing solutions. Place baking dish in the lower rack of the oven for 10 minutes. Take the dish out, turn the kebab the other side and brush more with the solution. 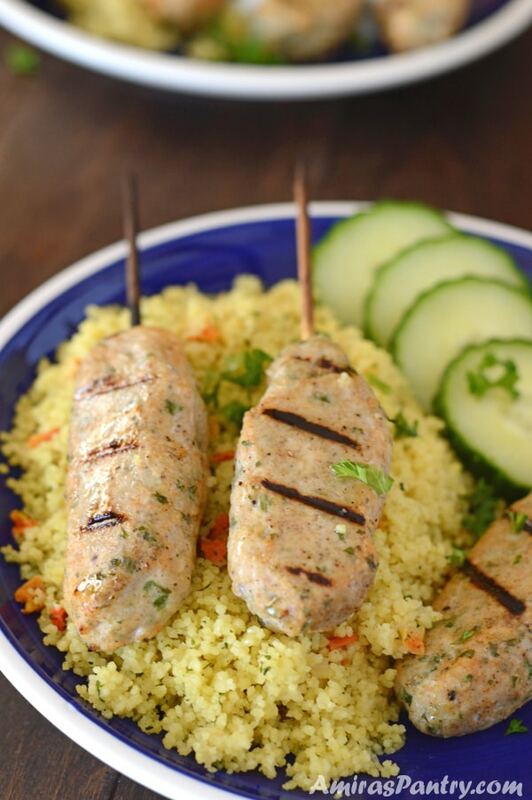 Serve with rice, pita bread and your favorite salad. 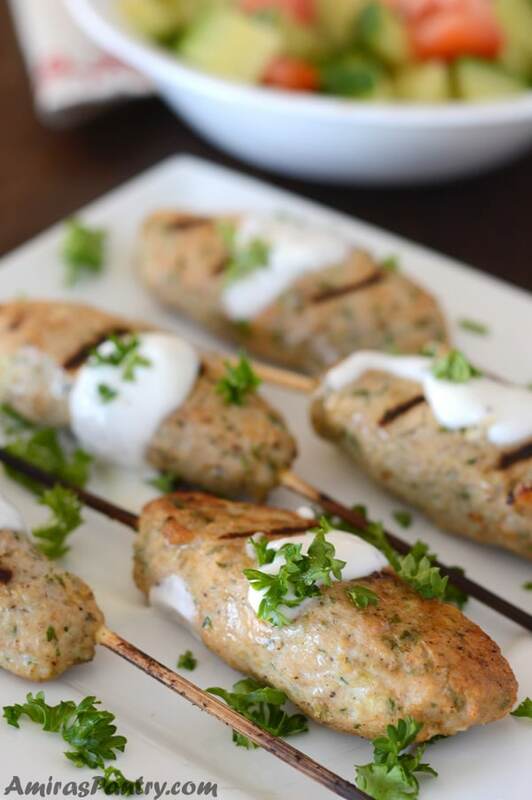 * It is always best to cook this chicken kebab in the oven first for just 10 minutes, turning them in between and brushing the other side, before putting it on the grill, I’ve found this to be very useful and easier for handling ground chicken. Your ingredients list for the brushing sauce says to preferably not use olive oil. What kind of oil do you use and why do you not recommend using olive oil? I’m hoping to try this recipe soon and just wanted to check on the oil recommendation before I make it. I have grape seed and avocado oil in my pantry. Would one of those work better than olive oil? Thank you..
Mike, here is the deal. I’ve made it before using olive oil my kids felt there is an unpleasant taste to it and refused to eat it. So I made it again with a neutral oil (canola) they were happy. So any neutral oil will work , I suggest using the grape seed oil. I hope this helps, let me know if you have any more questions. I’ve had beef kofta in a tomato-based stew at a nearby Lebanese restaurant, but I’ve never tried chicken kofta before. I have a feeling my kids will prefer them on a skewer!! P.s. I’ve never heard the term “pasting” so I had to look it up. I grew up in the Southern USA where people use BBQ sauce for “basting” all kinds of meat and seafood on the grill. It must be a similar term. 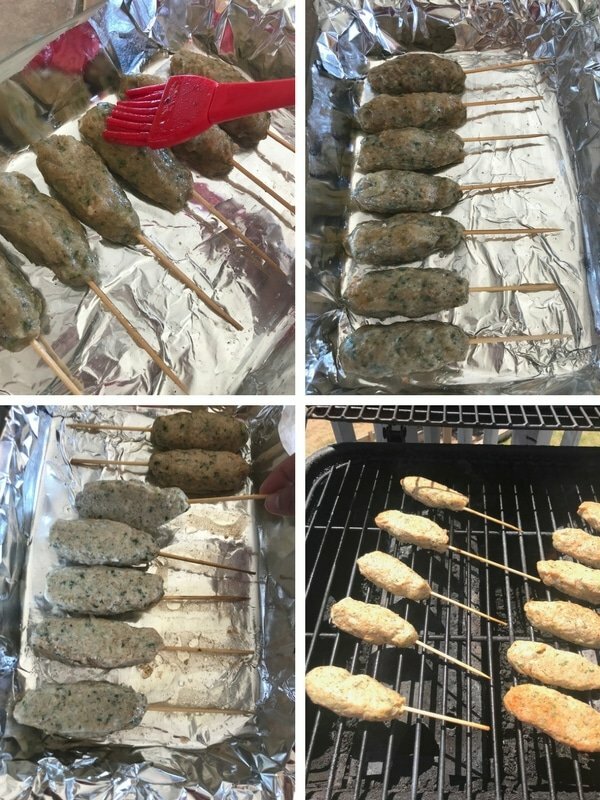 Angel, my kids love every sort of kofta.. beef, chicken, turkey .. whatever I guess it is easier for them to eat that regular meat chunks… thanks for catching the typo… I will fix that. Can I leave out the corn meal? Zeina, corn meal is used as a binding agent in this recipe or else I think it will be very hard to shape the kofta. You can try using bread crumbs instead how about that? Who doesn’t like a kabob? It’s grilling season, and these are perfect. And chicken is a nice variation on beef or lamb. Thanks!